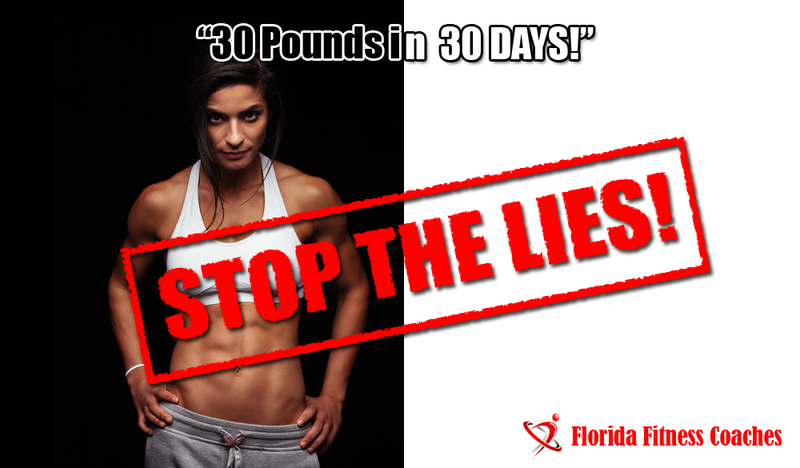 Drop 30 Pounds in 30 Days - Stop the Weight Loss Lies! 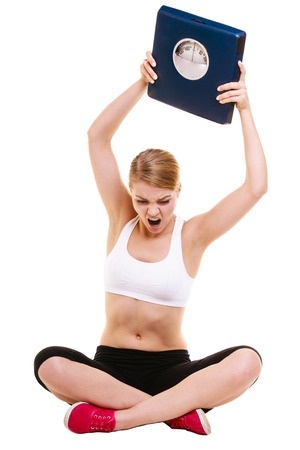 Stop the Weight Loss Lies! What’s sad (and extremely frustrating) is that there are SO many programs and products out there today that STILL make bogus promises like this. It’s truly an insult to the fitness industry AND to you! They prey on the “American way” of wanting things here and now. They also give you hope of results that are either completely unrealistic, set you up for disaster later, OR even cause serious harm to your body! When you jump on these crazy fads like juicing every day, drinking 90% of your calories in “meal replacers”, or some ridiculous 7day/week high intensity training program, you are putting your body at serious risk. You can deprive your body of crucial nutrients AND risk injury with over-training. To top that off, your energy will plummet and you’ll probably feel like a zombie those entire 30 days. Sure you may lose some pretty serious pounds (probably not 30), but you and I both know you can’t (and shouldn’t) continue to live like that. … Not quite as catchy huh? So let’s talk SUSTAINABLE weight-loss. What IS realistic? 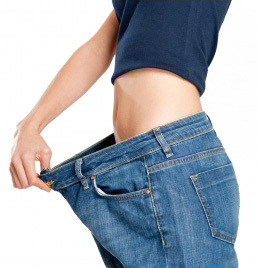 For the average personal trying to lose weight, a solid, realistic goal to aim for is 1-2 pounds per week. Those who are just starting and are working towards extreme weight loss may see numbers as high as 3 pounds in a week for a while, but eventually this will slow down (which is totally OK!). You shouldn’t feel miserable, deprived, or hurting all the time either! Sure it’s OK to be sore, but after the initial couple weeks your energy should IMPROVE. If not, then adjustments need to be made! So do me (and yourself) a favor, don’t fall for the gimmicks, fads, and programs that seem too good to be true, because they ARE! P.S. This summer we’re offering a 30-day trial at the club that sets you up with exactly this. It includes all of the training, nutrition plan, and accountability you need to set yourself up for successful weight loss WITHOUT have to suffer! If interested click the button below, or give us a call at 239-596-6200 and we’ll give you all the details! Mr WordPress on What is Good Nutrition?